Prop making is one of the most challenging aspects of cosplay and costume making. 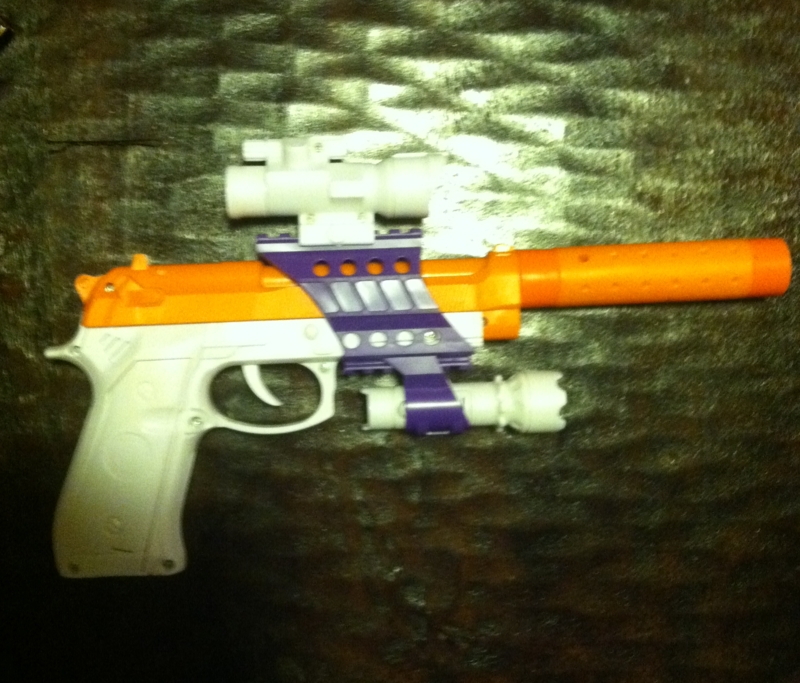 For this tutorial, I will be showing you how to modify a plastic toy gun into a Steampunk grapple gun. 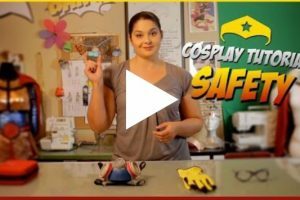 I wanted to do something very specific for my Steampunk Batgirl costume, but you can use many of these techniques to modify other plastic weapons. It also happens to be my favorite part of any costume, and something that I don’t get to do nearly enough. 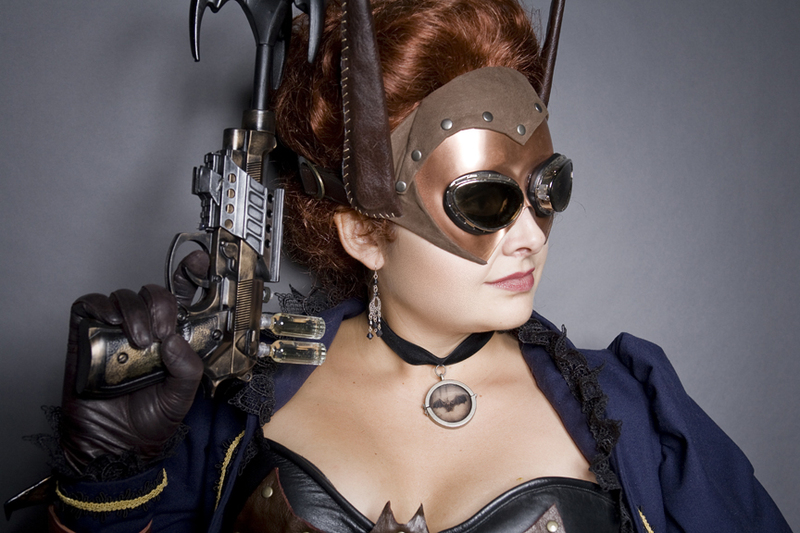 The details of a prop can really push a costume to the next level, especially when it comes to Steampunk! 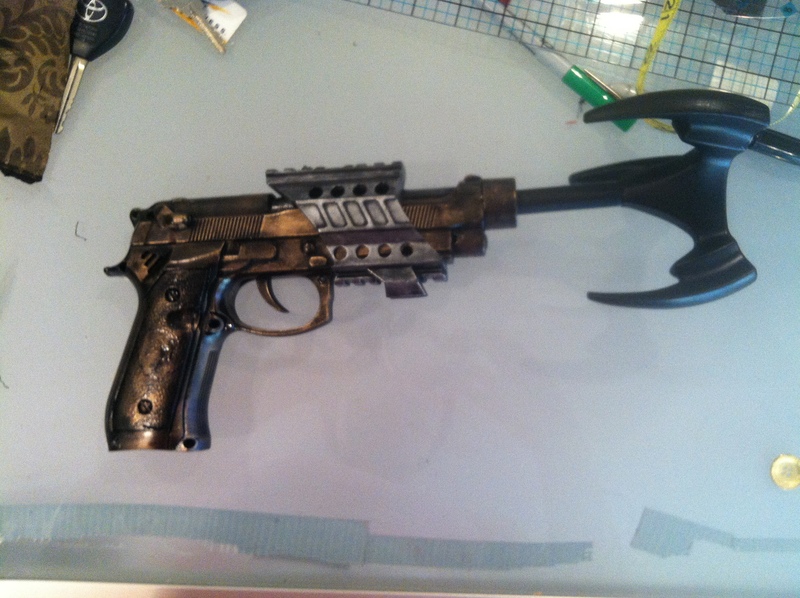 The first, and most important step of making a steampunk weapon is choosing the toy weapon you are going to modify. Take your time. Plan out exactly what you want and don’t give up until you find it! Walk around the toy isles, shop online, and check out local Goodwill stores until you find the perfect toy. Don’t worry about the color, focus on the shape and how it’s built. Avoid guns that are easily recognizable as a specific model, unless that’s the look you want (Oops). 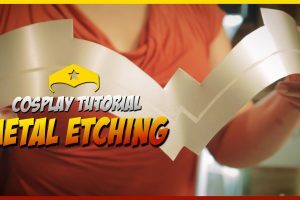 Make sure the toy is sturdy, that it’s made of all plastic (rubber and metal will change how you have to modify it), and if it will be easy to disassemble or mask with tape for the painting process. The gun pictured is the one I chose. I ended up not using the sights or the silencer that came with it, but the purple details ended up looking pretty cool by the end. Again, color doesn’t matter at all. This is the most boring step, but it’s vital if you want a good looking product by the end of this process. You will need fine grain sandpaper and dish soap. Carefully sand away any imperfections on the gun, without taking away too much or leaving scratches in the plastic. The goal is to make the gun as smooth and realistic as possible. Again, don’t worry about the color of the gun, just focus on the texture of its surface. When you have finished sanding the gun, wash it in normal water and dish washing liquid. You will have to wash your gun with damp rags if it has electronic parts and can’t get totally wet. Be sure to rinse the gun thoroughly so soap residue doesn’t mess up your painting later. Dry it with a rag and wait a few hours to insure it’s completely dry before moving on to Step Three. Be careful not to handle the gun too much before you paint it. Oils from your hands can impact the paint. I always use Krylon Fusion spray paint for plastics. For this project, I used black paint with a satin finish. Take care to keep the spray can at least a foot from the gun and spray a thin layer of the paint, don’t worry if you still see the original color through this first layer. Let the layer dry completely, and then add another. Keep adding thin layers until the gun is completely covered. MAKE SURE that each layer dries completely before adding the next, and that the layers stay thin, or you will get drips that ruin the look of your gun. You will need an amazing substance called Rub-n-Buff to make the gun look metallic. It comes in small tubes, but don’t let that fool you, a little goes a LONG way. It comes in tons of colors, I used the silver shade and the antique gold for my gun. Different metal looks all put together in one weapon really make something look steampunk, so don’t hesitate to use two or three different colors on the different parts of your gun. You are going to use the Rub-n-Buff to highlight the metal areas of your gun by hand. This of it more as a polish than a paint. Put a small dot of it on a smooth cloth, then carefully start applying it to your weapon. I HIGHLY suggest you practice on something else first to get a feel for it. Remember how you slowly added more and more primer paint to your gun in step three? Start with a tiny bit and then add more. I left a lot of black showing in the crevices of my gun to make it look grimy and old. As you “buff” your weapon, think about what parts of the gun’s surface would get touched or rubbed against things the most. Those areas should be the brightest and the crevices should stay darker. Let the Rub-n-Buff dry for a few hours. It is wax-based and rubs off on everything while wet, so be careful! This is where you get to let your creativity run wild! My steampunk weapon is a grapple gun, so I will tell you what I did to stylize my weapon in that manner, but don’t limit yourself! Do a Google image search and get inspired. 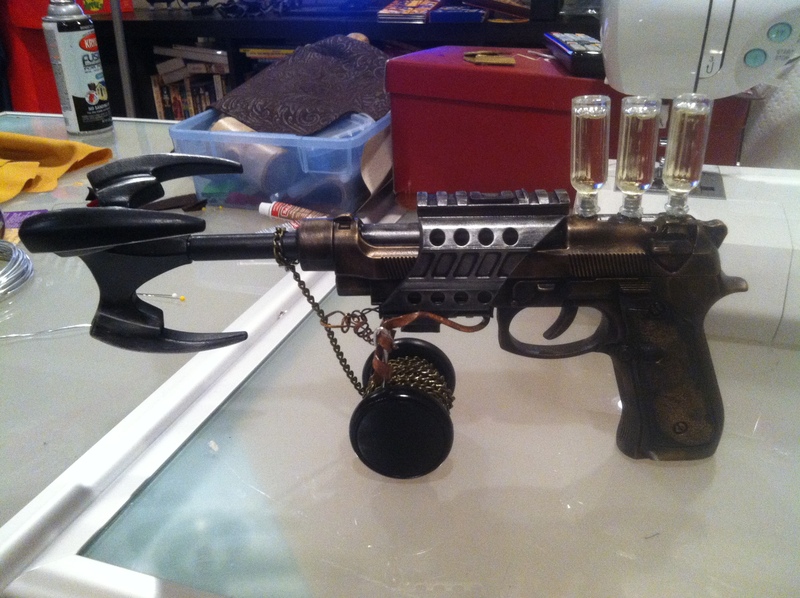 I bought a toy Batman grappling hook to go with my gun. I painted it black, using the same method described above, and then used a slight brush of Rub-n-Buff to give it a little bit of a metallic reflection. 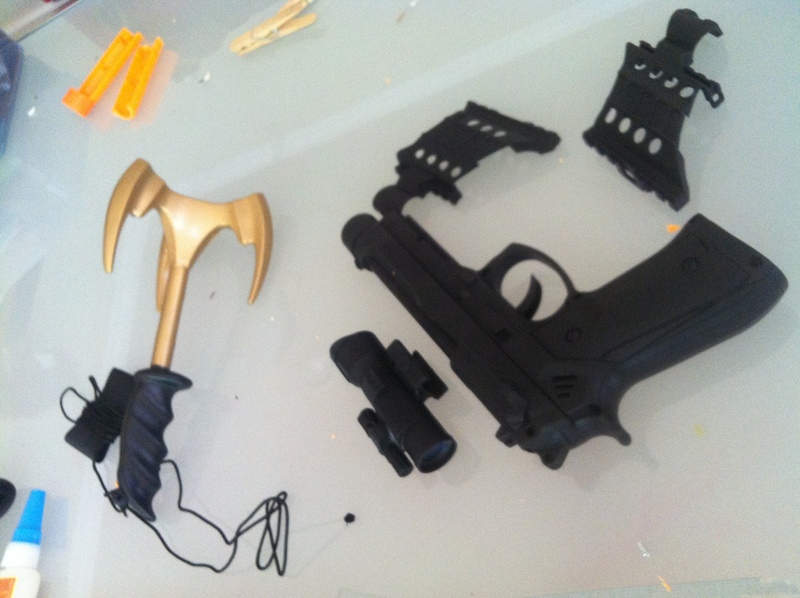 I cut off the handle of the grappling hook and glued it into the barrel of my gun. I lucked out and it fit perfectly. I attached very thin black chain (I think it was supposed to be used in jewelry making) to a Yo-Yo and wrapped it around until it looked like a convincing spool for a grapple gun. And finally I used thick copper wire to make a rigging to attach the yo-yo to the bottom of the gun. I wanted my gun to have cool chemical chambers on it, so I started testing the cleaning liquids around my house in small bottles I bought at Micheal’s. I ended up settling with Murphy’s Oil (the kind you use to clean wood) because of its cool amber color and thick consistency. I filled three little perfume bottles with it, drilled three appropriately-sized holes in the top of my gun, and glued them into place. I was careful to glue them in such a way as to permanently seal the bottles as well. Sadly, there was a mishap in my workshop and one of the bottles ended up breaking. I still haven’t found a matching bottle to replace it, so my grapple gun only has two canisters of super sticking liquid/super propellent on it. Seriously, have fun with this last step. Wander around your local craft store or browse the internet and you will find some amazing things to work with! Lights, gears, piping, wood detailing, chemical chambers, moving parts, sound effects, and many other amazing things are possible, but you have to be brave enough to experiment a little. Do you recommend sanding still, if I am painting a brand new gun? Nerf brand. Yes! I totally recommend that. The sanding is actually not to smooth the plastic, but to give it a little texture so that the paint has something better to stick to. You are really trying to make it rougher, but not so much that you can see it through the paint. Great tutorial Kimi! I’m more a miniature painter than cosplayer but it was really interesting seeing the process you used to make your grapple gun. Thanks for sharing!